Length 181 ft 6 ins. Breadth 35 ft 0 ins Depth 8 ft 3 ins Gross tonnage 293. Built for the Gulf Coast Telephone Company which supplies telecommunications for oil and gas rigs operating in the Gulf of Mexico. 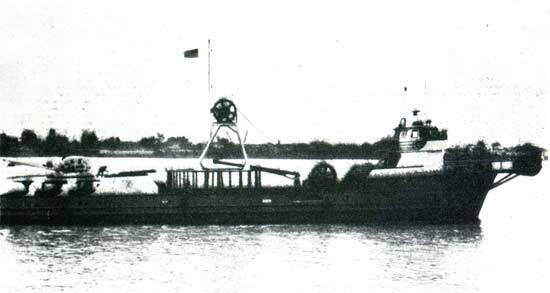 Built as a supply vessel and then modified by the installation of 7 ft 0 ins diameter bow sheaves along with two removable cribs with a capacity of 4930 and 1730 cu ft of cable respectively. One paying out machine is fitted and the vessel can operate in up to 1000 fathoms.